Do you have that one meal (or two) that you always seem to be craving? And when you make it, you make a LOT so you can enjoy the leftovers, too? 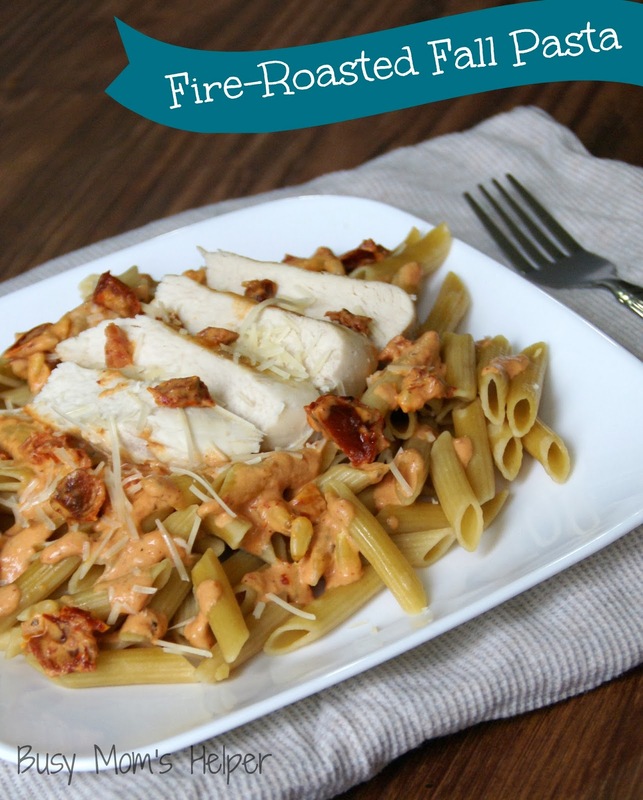 For me, it’s this Fire-Roasted Fall Pasta. I absolutely LOVE. This. Pasta!!! Now, I normally really enjoy pasta dishes anyway – but this one is just BURSTING with flavor, and really warms you up inside during the cool fall months. I don’t only enjoy it in the fall, of course, but that’s when it’s absolutely the best, in my opinion! 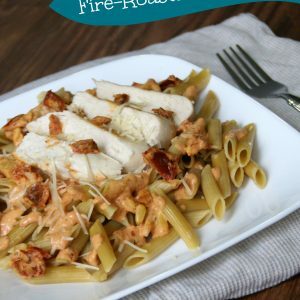 Don’t let the name ‘Fire-Roasted’ scare you off – one of the ingredients is a Fire-Roasted sauce, but it’s mixed with other things that can mild it down. So no worries – it can be as mild or as kickin’ as you’d like! 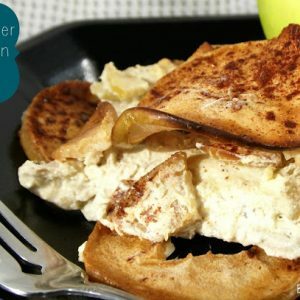 This recipe is for a nice in-between. 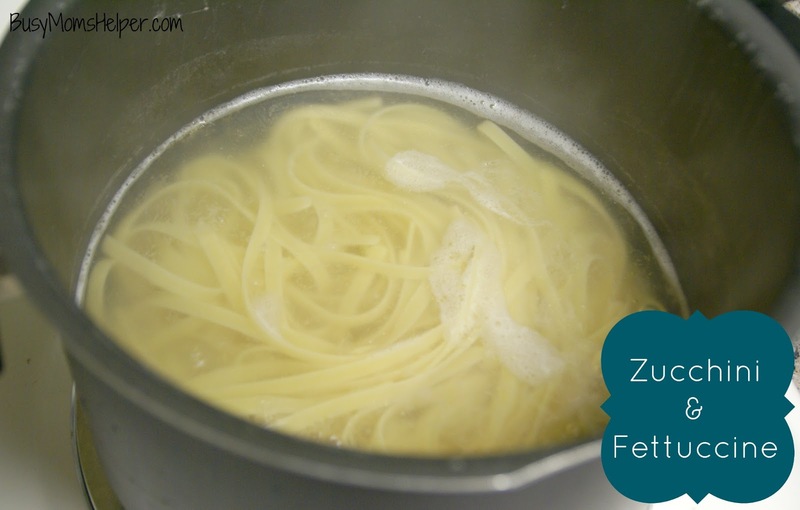 In a small saucepan, mix all of the ingredients (except Pasta and Chicken) and cook over medium-high heat until bubbling around the edges. Do not allow it to boil. At the same time: Boil the pasta according to package directions. Serve warm with the sauce over top. 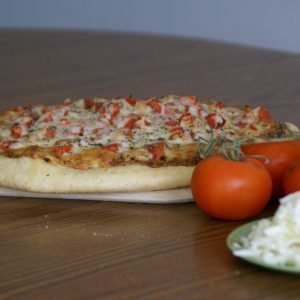 If desired, add chicken dices or slices for an even more flavorful and filling meal. Top with some extra Parmesan Cheese, if desired. 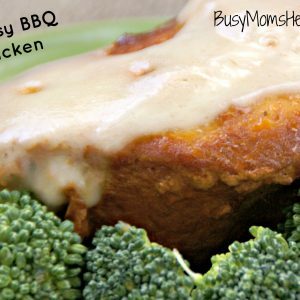 Notes: You CAN use other spicy-type red sauces, this was just my favorite! Add more or less Chili seasoning to adjust the heat! 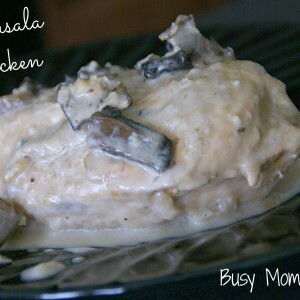 This Marsala Chicken is one of the dishes Hubby use to make (and still does) for me on special occasions, and one of the dishes he used to ‘show off’ to me when we first met. I admit, it’s still one of my favs! Did you know that I use to hate cooking, and really didn’t know HOW to cook? Seriously! I remember my first year of college I was so proud of myself when I could make BBQ chicken – which was me putting chicken in a baking dish and pouring bottled BBQ sauce over it, tossing it in the oven, and setting the timer. Man, that was gourmet cooking! Then…I met my Hubby. All through high school, and including when we met in college, he worked in two restaurants – one Wingers (chain restaurant) and the other a very nice, local place that was really about quality food. He learned a lot at both of those, and he had a real love of cooking. Long (and probably boring to all but us) story short, his love of cooking grew on me, and now I do the majority of our cooking! He’s always teasing me when I try something new, or get excited about a whole new dessert. Oh well – at least now I love to cook, which is great for myself AND my family. Win-Win!!! In a bowl, combine the Flour, Salt, Pepper, Garlic Powder and Onion Powder. 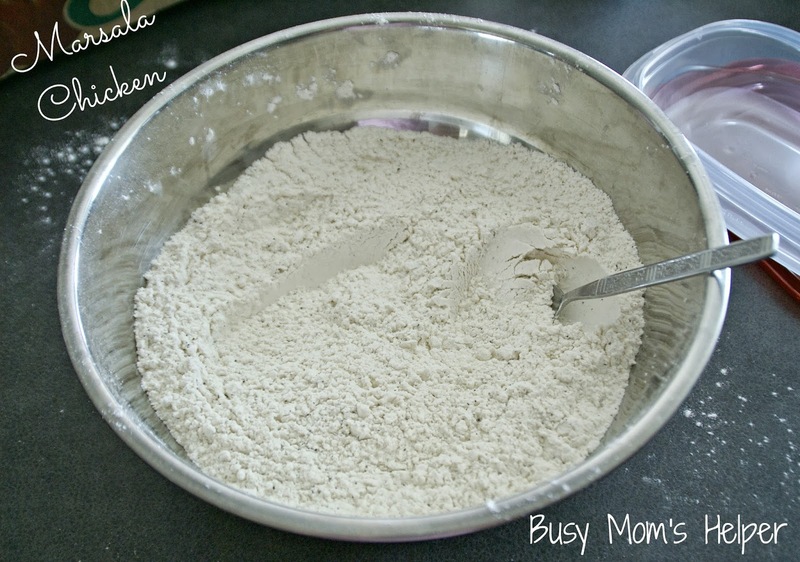 Dip each Chicken Breast in the flour mixture, coating all sides evenly. Place in a large sprayed and pre-heated frying pan. Brown the chicken breasts on all sides, then move into a sprayed WOK (or very very large frying pan). Add the Marsala Wine, minced Shallots and minced Garlic. Cook on High about 5 minutes. Add the diced Mushrooms, then continue cooking, on Medium, another 5-10 minutes. Add the Heavy Cream (less = more Marsala flavor, more = more Cream flavor). If it’s really runny, add whatever remaining flour mixture to the sauce. Continue cooking on Medium until chicken is cooked through. Serve chicken with sauce/mushrooms spooned over. 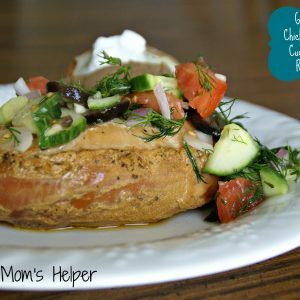 Notes – DO NOT be intimidated by this recipe. It may sound difficult, but really it’s very simple. I’m sure you’re use to me saying how much my family loves pasta. Usually, it involves a lot of cheese. 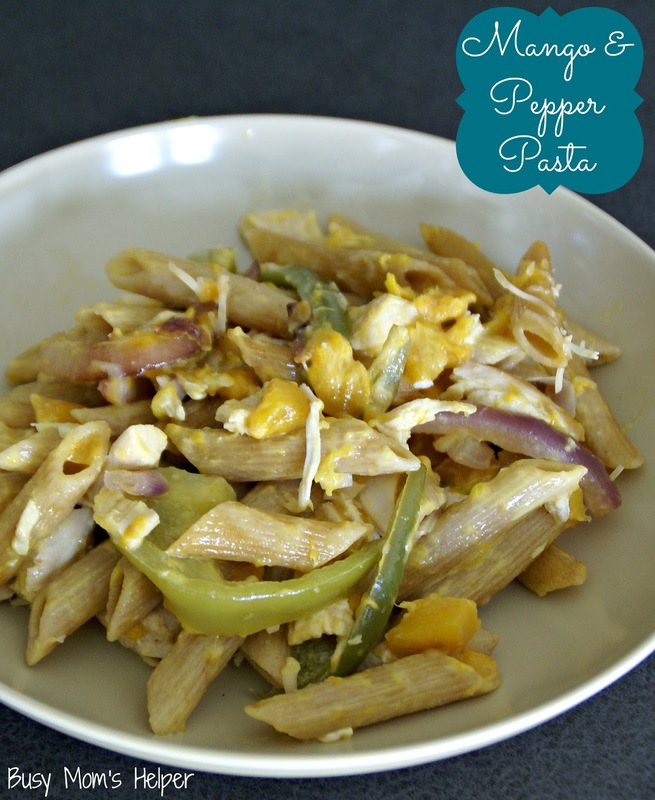 This Mango & Pepper Pasta, however, is a totally different story! 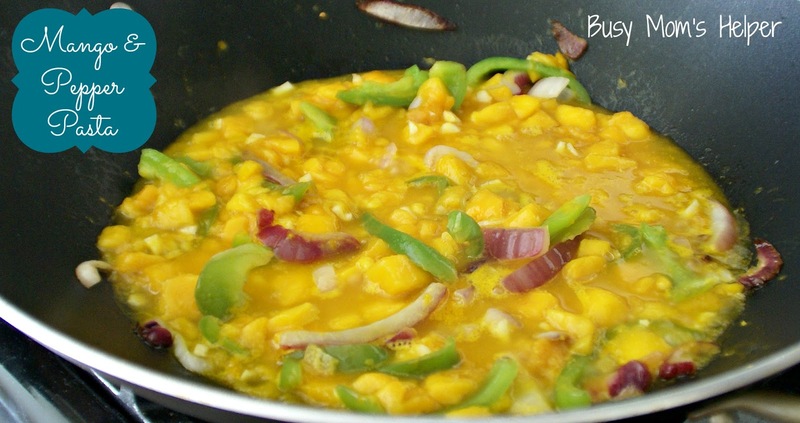 It’s sauce is creamy mango, while the peppers add a tiny bit of ‘pop’ to it. Full-blown flavor in a bowl! 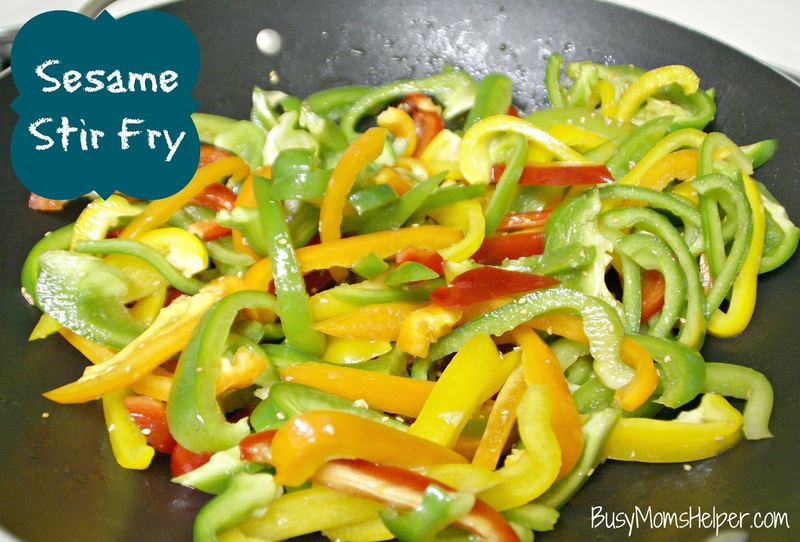 In a large skillet, cook the Onions and Peppers until mostly tender. 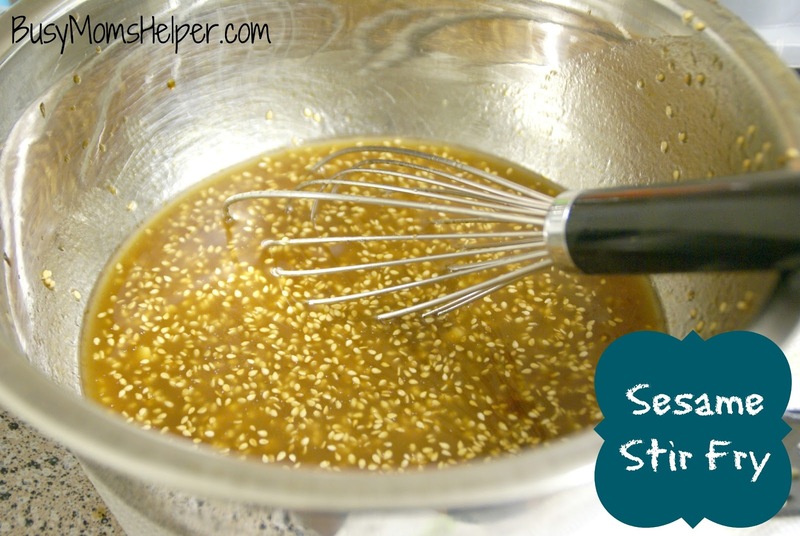 Stir in the remaining ingredients and cook until the sauce starts to bubble. Remove from hit and allow to thicken for 3-4 minutes. Add sauce to pasta, and serve. Enjoy!!! 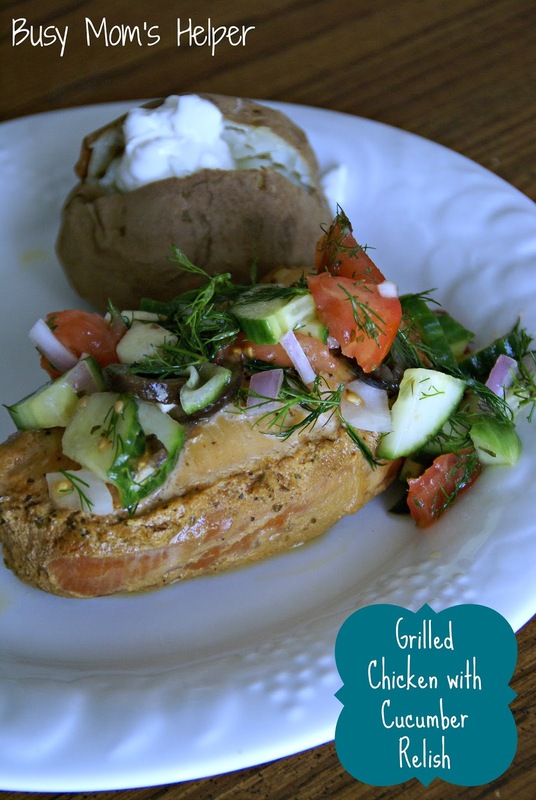 Grilled Chicken with Cucumber Relish – in the Slow Cooker! 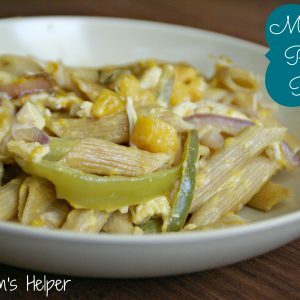 Combine all the ingredients, except chicken, in the crock pot and mix well. Add the chicken. Cook on low for 7-8 hours, or until cooked through. Combine all of the ingredients in a bowl, stir well. Refrigerate for 1-2 hours to allow flavors to mix into the veggies. Enjoy!!! 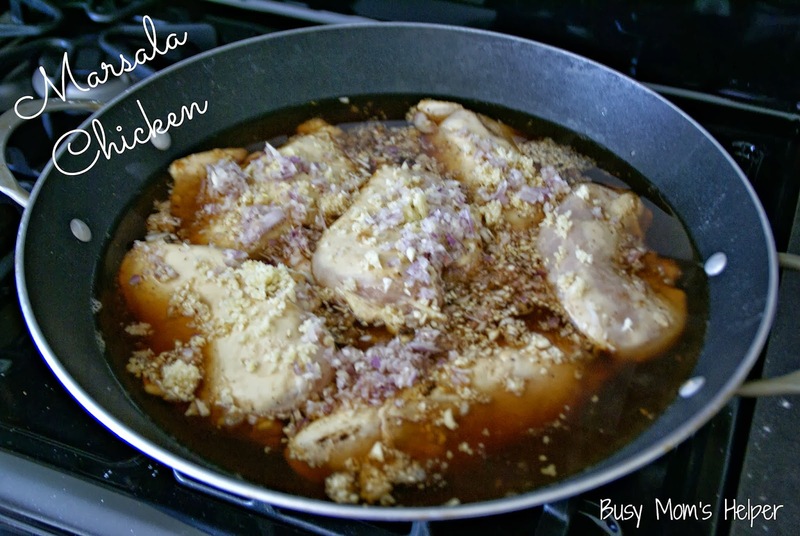 In a large skillet, cook the Chicken Breasts in the Balsamic Vinegar until cooked through. Meanwhile, in another large skillet, cook the Zucchini and Onions until mostly tender. Add the remaining ingredients to this skillet and continue to cook until all veggies are tender. Add the veggies to the chicken and cook another 5 minutes, allowing the veggies to get some of the balsamic flavor, and the chicken will get some of the veggies and other seasonings. Serve the veggies over the chicken and ENJOY!!! 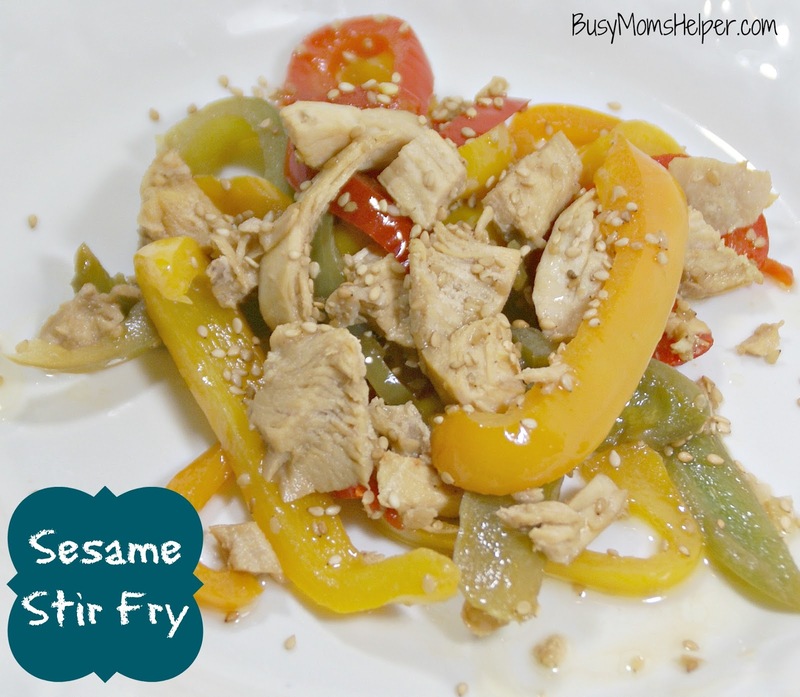 Stir-fries are easy to make and this Chicken Sesame Stir Fry is no different. Combine all of the ingredients for the sauce in a bowl until well-blended. 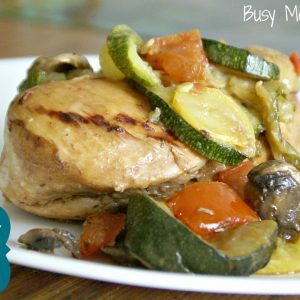 Place the Chicken Breasts, sliced Peppers, and Sauce in a large skillet. 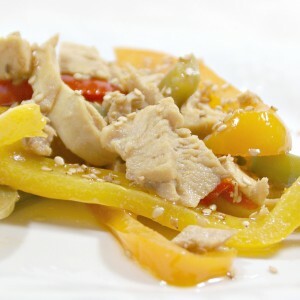 Cook, stirring often, until chicken is done (165 Degrees minimum) and vegetables are tender. Serve over rice or noodles, if desired. Have I mentioned that zucchini is one of my favorite veggies? It really is – along with tomatoes, of course. 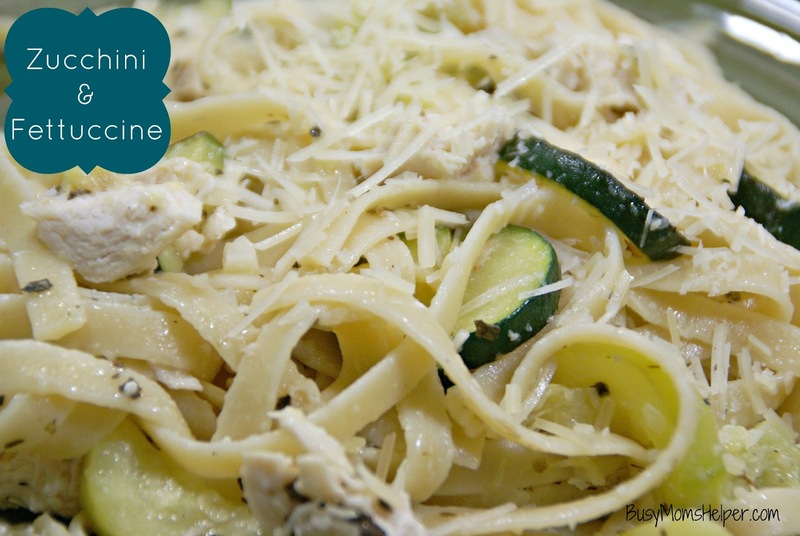 Since I’m also a huge fan of pasta, I decided to whip up an easy weeknight meal that had the best of both worlds – delicious Zucchini Fettuccine! Pour 1/2 cup Lemon Juice and 4 tbsp. Olive Oil into a zip lock baggie. Add the chicken and set aside to allow it to marinate for 30 minutes. Cook pasta according to package directions. 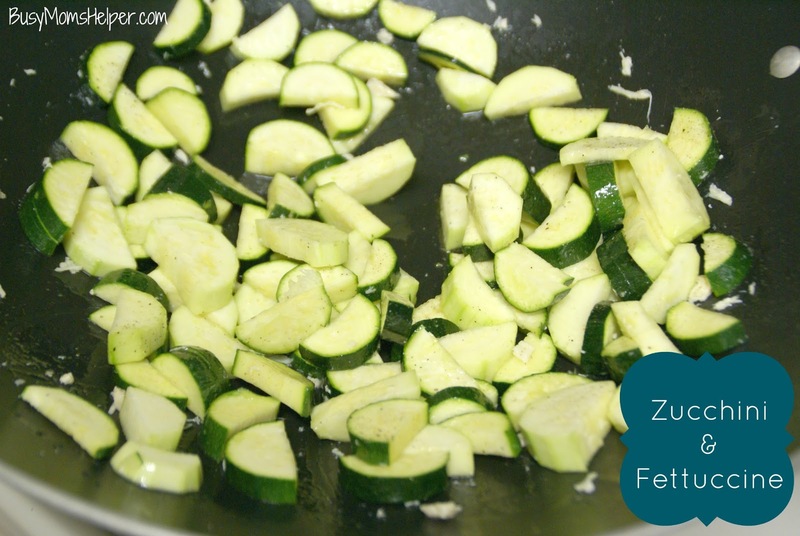 Meanwhile, cook the Zucchini and minced Garlic in a frying pan with a couple tbsp. of Olive Oil and a bit of Salt and Pepper, to taste. Cook until mostly-tender, then set aside in a large bowl. Heat a couple tbsp. of Olive Oil in a skillet and cook the chicken until cooked through. When done, cut into pieces. 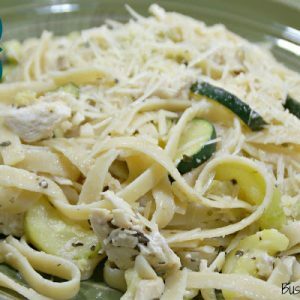 Add the cooked pasta, chicken and remaining ingredients to the bowl of Zucchini. Toss it all together until well-mixed. Serve warm. Is it hot where you are? It’s FRYING here. Not that I should complain – I really don’t like the cold much. But still, it’s to the point where I’m trying to not produce too much unnecessary heat in our apartment. Thus, the slow-cooker once again comes out. From what I’ve read, even though it cooks all day, it produces less heat into the room it’s in as opposed to the oven. Cool, right?! In a bowl, whisk the Whipping Cream, Mustard and Cinnamon until smooth. Pour all but about 1/2 cup over the chicken. Store the reserves in the fridge until ready to use. Cook on low 7-8 hours, or on high 4-5 hours. Add the apples to the slow-cooker half-way through the cooking time, pouring the reserved cream mixture over top. In a bowl, mix the Pesto, Ranch Dressing Mix and Chicken Broth until blended. 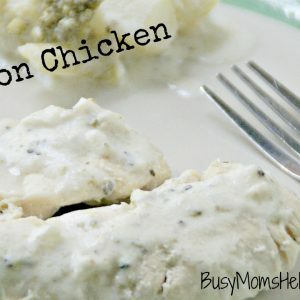 Place the Chicken in the slow cooker, top with the pesto mixture. Cook on low for about 7-8 hours. Today is one of those days where I really have nothing to say. I want to tell some funny story, give sound advice, or even just ramble yet sound intelligent. Instead, all that is coming to my head is ‘sleep….please give me sleep….’. 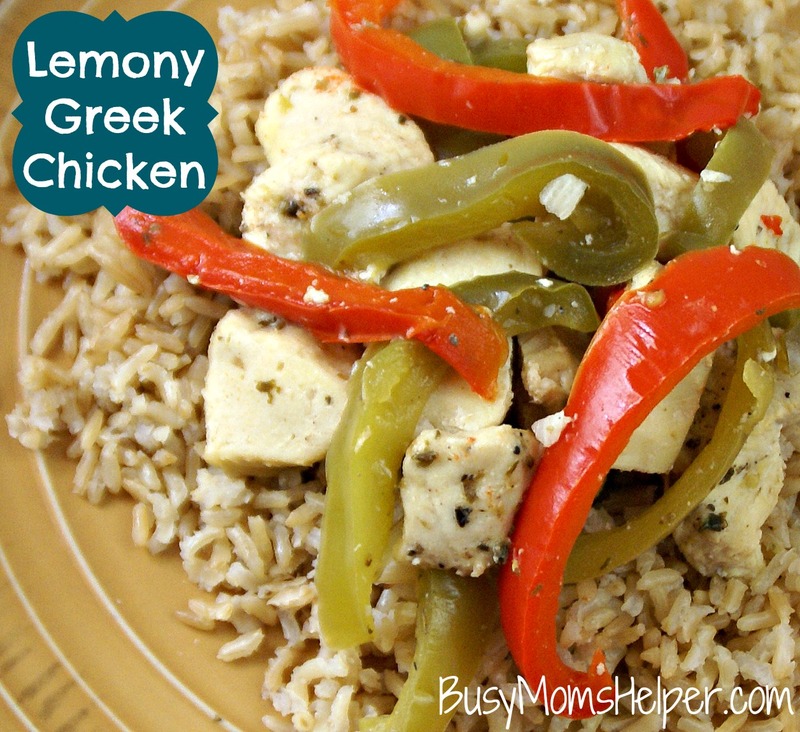 So, without further ado, here is a wonderful Lemony Greek Chicken. Yummy! Slice the Chicken into bite-sized pieces. Place in a bowl or ziploc bag. In a bowl, mix the Olive Oil, Garlic, Oregano, Salt, Pepper and Lemon Juice. Add to chicken. Marinate for 30 minutes. Add chicken and marinade to a heated skillet and add the Red Onion, Green Pepper and Red Pepper. 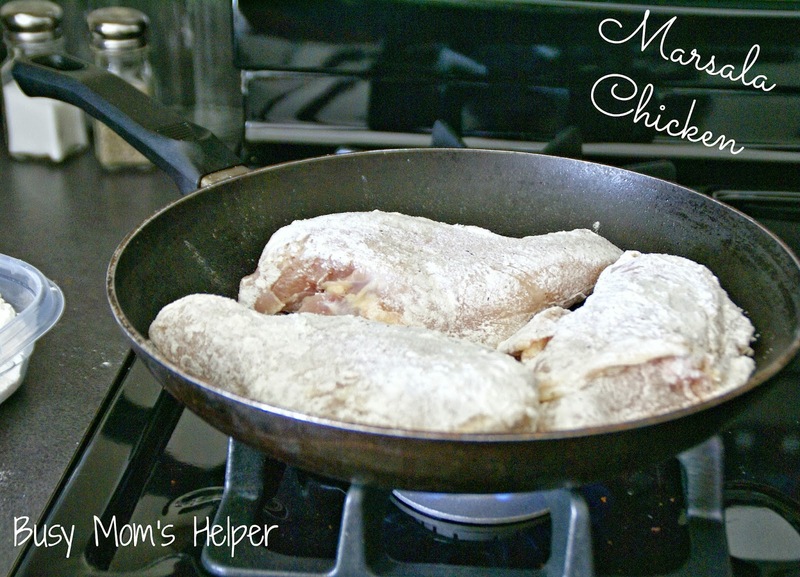 Cook over medium-high heat until chicken is cooked through. So summer is full-swing in our household, and we’re enjoying having Wonder Woman at home with me and the other 3 super heroes all day. Plus, no homework to deal with as soon as Flash gets home from work, so it’s really good family time. Love it! We don’t have to worry about any vacations for a few more weeks, then a BIG one, so for now it’s just relaxing and loving life. Hope you all are having a WONDERFUL summer vacation so far, as well! In your slow cooker, put in the chicken, then cover with BBQ sauce. Cook on LOW for 8-9 hours. Warm/Cook bacon according to package directions, then place 1 slice on each chicken breast in the slow cooker. 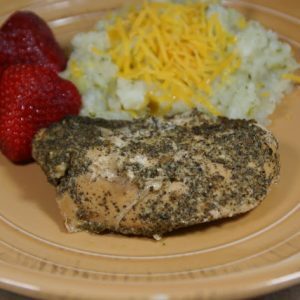 Top with 1 slice of Swiss Cheese per chicken breast. Continue cooking on HIGH until the cheese is melted. Notes: If the sauce becomes really thick while you’re cooking it, just add a bit of water.